Mike Babin is the son of Hong Kong veteran Alfred (RRC) and Christina Babin, both deceased. He is retired, having spent over 32 years with IBM Corporation in technical and senior sales and marketing positions. After his retirement early in 2004 Mike became involved in the Hong Kong Veterans Commemorative Association (HKVCA). He has been an active member of the HKVCA's Board of Directors since then, and is also the Ontario Regional Director. Mike is married to Dawn and they have two children -Shelley and Julie -and two grandchildren. For many years Shelley and Julie swam competitively at the elite level, and Mike was heavily involved in volunteer work with their swim club, including holding positions on its Board. Mike lives in Toronto. He is an avid tennis player, cyclist, and skier and enjoys triathlons, travel and studying French. 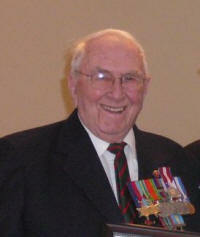 Phil, born in New Richmond, PQ, is a Hong Kong veteran who has worked tirelessly in support of his fellow veterans. Following the Battle of Hong Kong and his years as a POW, Phil returned to Canada and pursued a career in education. 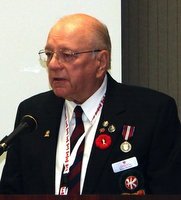 He has held many positions within the education system, Masonic Order, Royal Canadian Legion, and Boy Scouts, among many others. In his service to the Legion he has held the office of president on three occasions in addition to holding other appointments. Over the years he has been the recipient of many awards and honours, for example: The Royal Canadian Legion Meritorious Service Medal, Hong Kong Veterans Association Merit Award, Minister of Veterans' Affairs Commendation and Governor General Caring Canada Award, to name a few. In his role as President of The Hong Kong Veterans Association Phil keeps a close watch on HKVCA activities, acting as a voice of sober second-thought and mentor. You can read about his experiences at his web site "Memories Uninvited". I am the son of Lieut. W. Vaughan Mitchell, Winnipeg Grenadiers, killed in action during the fall of Hong Kong just prior to Christmas, 1941. Also killed in action was his younger brother and my uncle, Lieut. Eric Mitchell, a member of the Winnipeg Grenadiers as well. Their names are inscribed on the same grave stone in the Sai Wan cemetery in Hong Kong. I am the Treasurer and Membership person for both the Manitoba Branch of the Hong Kong Veterans Association and the Prairie Region of the Hong Kong Veterans Commemorative Association. I joined the HKVA about 20 years ago and am a founding member of the Manitoba HKVCA. In August, 2003, I was elected to the position of National Treasurer of the Hong Kong Veterans Commemorative Association, was re-elected in 2005 and 2009 and have continued in that capacity since. I find my work with the Veterans' Associations to be both challenging and rewarding. There is much to be done and I am confident that our generation will carry on the tradition of perpetuating the memory of those who fought and suffered for the freedom of our country. I am the widow of Kenneth Muir, HK Veteran of the Royal Rifles of Canada. I was born in Cowansville, Qc in the Eastern Townships, half way between Montreal and Sherbrooke. I have only one younger sister. I am the mother of two children and grand-mother to two grand-children, Jessica Lee and Justin. There are also Ken’s children Shirley, Danny, Carol and their families. I graduated from school in secretarial, book-keeping and later in life in accounting in both in French and in English. I worked for 5 years in sales/advertising for the Vilas Furniture company, for 8 years for Albany International (makers of paper machine felts or blankets) in design and then retired 24 years ago from Sears Canada after 20 years service as Assistant Manager, Manager and finally in sales. In 1989 I got involved in the RC Legion in Granby, as Ken was very active in the Legion as well as the HKVA. I have been an Associate member of the RC Legion for 25 years. I was also a member the Ladies Aux. of the RC Legion and held the positions of secretary, 2nd vice, 1st vice, president of the kitchen committee and served 5 years as president of the LA and also First-Vice Pres. for two years followed by a two year term as President of the Ladies Aux. both at the District Level. In the Senior Branch I held the position of secretary for 12 years, secretary/treasurer, secretary to the Service Officer as well as setting on most committees. Organized a Provincial Convention for the Quebec Provincial Command and attended 3 Conventions and many Seminars across the country for the RC Legion. For 3 years during the summer months, worked with children as administration helper and general helper at a Children’s Summer Camp for underprivileged children. Was also involved as administration secretary, membership chairperson and president of social activities committee for the Senior Club of 2,000 members strong. I have been associated with the HKVA since 1986. In 1992 got involved by organizing the Quebec-Maritimes Branch reunion and since that time organized many provincial reunions, 2 National Conventions and helped on other conventions and reunions for the HKVA. I was first elected President (Regional Director) of the HKVCA Quebec Region in 1998 at the formation of the Quebec Region. Attended executive meetings of the HKVA Qc-Mar. Branch and proud to say, the first lady to sit at these meetings. I attended many reunions, conventions and other functions of the Association across Canada. Even following Ken’s death, I wanted to continue with the HKVA and eventually the HKVCA, because I believe in the Association and have great respect for what our fathers, husbands, uncles, grand-fathers did and endured for the freedom that we enjoy today and this even as a young child I felt this way even if, at that time while attending the Remembrance Ceremony, did not know the reason why I had that great respect for all veterans and for what they did for their Country. It is imperative that the Hong Kong Veteran’s horrific ordeal NEVER be forgotten. It is also very important that the widows and families of the veterans’ everyday needs be taken care of. Personally I take some time for hobbies which are flower gardening and decorating in the summer months, reading, knitting and sewing in the winter months and of course continue to travel whenever the opportunity presents itself. Mitzi Ross is the daughter of Lancelot Ross (Sergeant in the Royal Rifles of Canada) and Theda McRae Ross. She was born in Hopetown, Québec on the south coast of the Gaspé Peninsula. After high school she attended the Gaspe CEGEP from which she received a Collegial Studies Diploma and then moved to Ottawa to continue her education. She graduated from Ottawa’s Carleton University in 1981 with a Bachelor of Arts Degree and was employed with the federal government for 30 years working as a Marketing Coordinator at Statistics Canada. 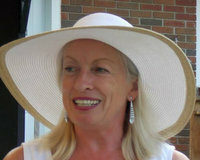 She retired in 2011, is married to Alan Sandeman and together they live in the west end of Ottawa. Mark was born and raised in Toronto and is a third-generation member of the HKVCA. Mark is the grandson of Lt. Leonard Corrigan (WG) and has been a member of the Ontario Region Executive as Regional Treasurer since 2006. 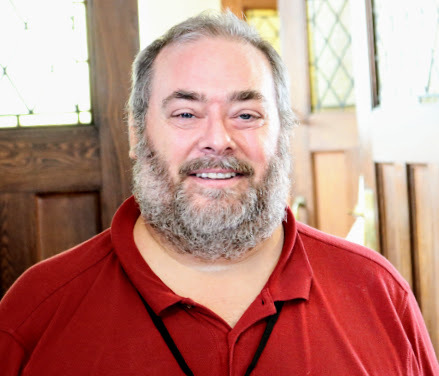 Mark started his working life in the outdoors but has now spent over twenty years doing administrative work for various organizations. Mark is a graduate of George Brown College where he studied Culinary Management and Food and Nutrition Management. He has also done extensive volunteer work in many different organizations in addition to his working life. Mark has enjoyed being part of the HKVCA family and has been honoured to participate in many events commemorating our Veterans in Canada, Hong Kong and Japan. Carol is the daughter of the late Borge Agerbak, H-6326, and niece of the late Tage and Ken Agerbak, Winnipeg Grenadiers who served in Hong Kong. She has been involved with Hong Kong Veteran’s Association (HKVA) as an Associate Member for several decades and became the Secretary and Newsletter Editor for the Manitoba Branch, when their members were unable to continue. In August 1993, upon learning that the Commemorative Association was being formed, she volunteered her services thus becoming involved in the Hong Kong Veterans’ Commemorative Association (HKVCA). From the beginning she has been Secretary of Manitoba Region and Chair of the Manitoba Education Committee (now Prairie Region) participating in Red River Heritage Fair and SAGE conferences since 2003 as well as doing presentations in schools. Nationally she was elected as President in 2011 - 2015; Past President of the HKVCA 2007 - 2011, chaired the Memorial Wall Committee and served as President from 2001 – 2007. She has been editor of the WASURERU-NAI, the National newsletter 2006 - 2014. For her work and commitment she was honoured to receive the Queen’s Golden and Diamond Jubilee medals and the Minister of Veteran’s Affairs Commendation Award. I was born in Quebec City and the youngest son of William G.J. Tuppert,, RRC. After graduating in 1972 I boarded a train bound for Vancouver and an adventurous few years in BC. I married a lady from Gibsons and we settled in the Cowichan Valley on Vancouver Island where we still have a small rural acreage. I keep busy with the upkeep on the property and as a contractor occasional sawmillingwork that comes my way. I love to go sailing during the summer and traveling with the camper van in the winter. Life in BC has been good to us and I would like to give back by supporting our HKVCA organization and the heritage it represents. Want to contact a member of the Executive to ask a question, discuss an issue, or raise a concern? Use the "Contact Us" button at the top-right of this page.